McDonald's Summer Dessert Line Up: McFlurry Oreo, McFlurry Sans Rival, Apple Pie Ala Mode, and Apple Kiwi Surprise McFloat. Since it is so hot nowadays, sweet and refreshing treats are the best way too cool us down. Have you tried McDonald's mouthwatering desserts for the summer? 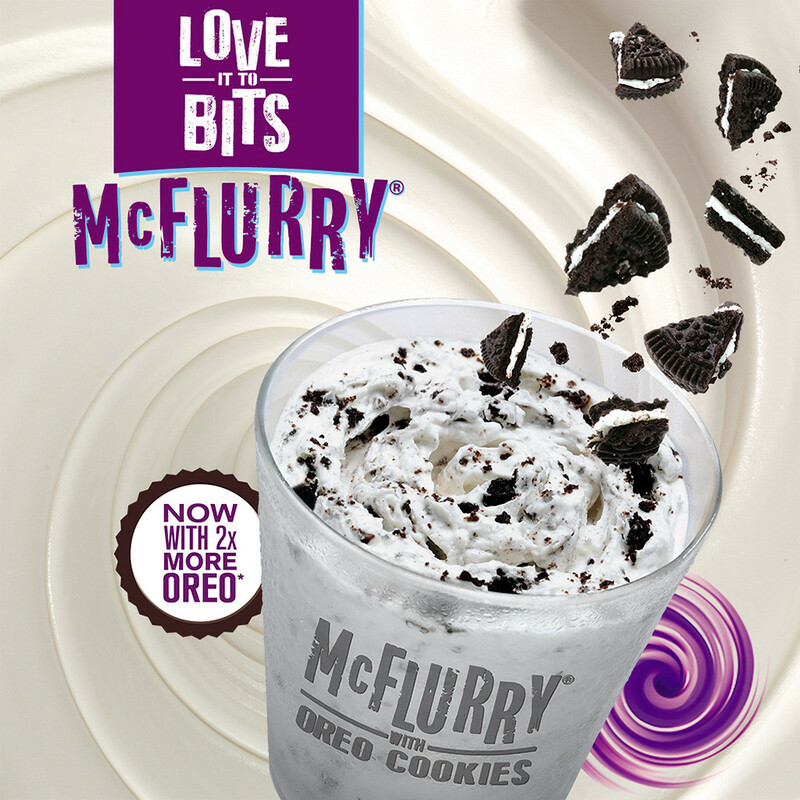 Headlining the line up is the classic favorite McFlurry with Oreo.. Now with twice as many Oreo chunks! Yup, that's right. TWO TIMES more chunky and chocolatey Oreo cookies in delicious soft serve. 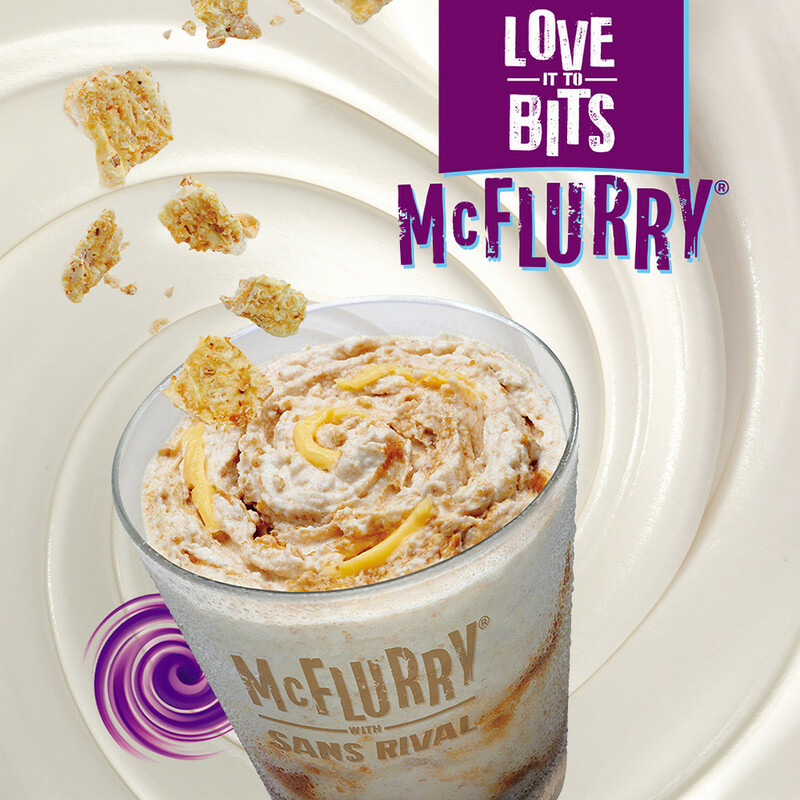 Returning by popular demand is the bestselling, McFlurry with Sans Rival. Sans Rival goodness blended into lush vanilla soft serve... Yummy! You can also continue to dig into warm cinnamon flavored apple pie on a bed of vanilla soft serve, topped with caramel syrup, as the drool-inducing Apple Pie Ala Mode is still available for those who can’t get enough of this playful mix of hot and cold in every delicious scoop. And new at McDonald’s is the limited edition Apple Kiwi Surprise McFloat, a refreshing concoction of apple and kiwi-flavored drink in fizzing harmony with vanilla soft serve. This is best enjoyed with McDonald’s World Famous Fries! 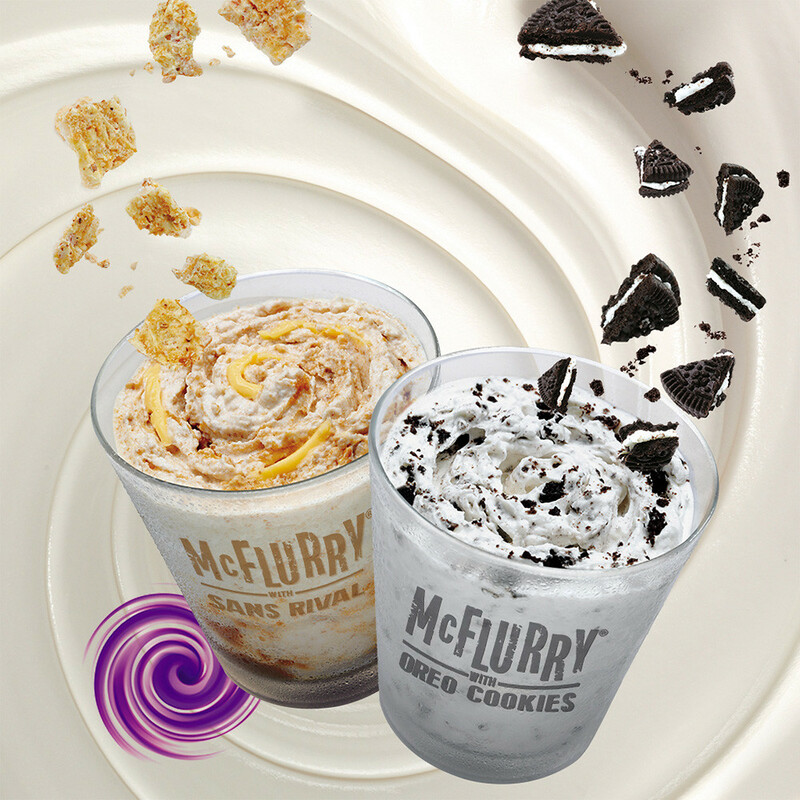 The McFlurry with Oreo, McFlurry with Sans Rival, and Apple Kiwi Surprise McFloat are available in all McDonald’s stores and Dessert Centers nationwide while the Apple Pie Ala Mode may be purchased in-store only.